because you don’t have a website? Without a website, many of your potential customers won’t know you exist. The Internet has become the preferred method to find contact information for business and has replaced the yellow pages and other traditional media when people need goods and services. Even when advertising in traditional media or handing out your business card, adding your website address provides your customers with potentially unlimited information. 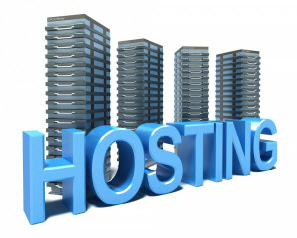 Internet usage is so widespread and common, that many of your customers will find it odd that you don’t have a web site. When a new family moves into your area and searches for restaurants, barbers, beauty shops, lock smiths, or the product or service you provide; whom do you want them to find, you or your competitor? RC Hill Publishing offers a variety of web packages and can construct a professional and very affordable website for your business. We understand the budget constraints of small businesses and provide a variety of low cost options to get your product or service online. 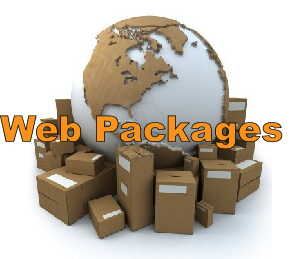 A web site is the most cost-effective way to reach existing and potential customers. Let’s face it, there’s only so much information you can squeeze into a business card or brochure. Your website has no space limits, it can contain as much information as you wish to provide. Access to your information is constant, and because there are no time zone limitations, your web site never closes. Your competitors have websites. If you wish to remain competitive, experience growth, and offer a higher level of service for your customers, setting up a web site right now would be the smart thing to do! What’s your excuse for not having a website? We began a desktop publishing business, operated out of a two bedroom apartment in the 1990’s, so we know how hard it can be to work from home. Before we created our website, we answered the same basic questions over the phone from potential clients. The answer to those answers were among the first content we included on our website and we put our website address on all our materials, business cards, brochures, flyers and advertisements. Clients started calling to hire us rather than ask questions, because most of their questions had already been answered on our site. If you’re a home based business owner, a website is crucial for your success. Unlike businesses occupying commercial space, home based businesses are usually prevented from displaying signs or banners and face other restrictions making it hard for potential customer to find you. Your website allows anyone with a computer or mobile device to easily find you on the Internet.